As businesses collect more data – and more complex data – the necessity for proper management and easy access becomes Priority No. 1. 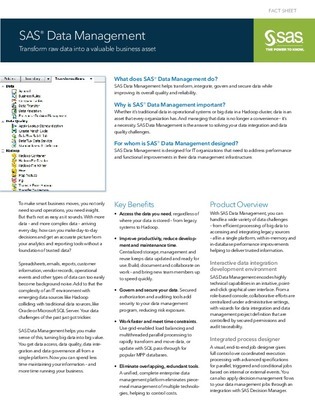 Read this resource for an in-depth explanation of what SAS Data Management can do for your business.